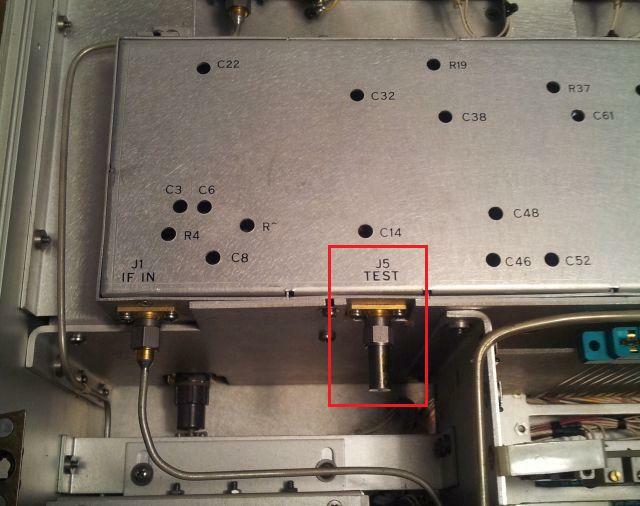 Having repaired two Micro-Tel 1295 microwave receivers recently, I noticed a IF (intermediate frequency) test port – this as a sample of the 30 MHz IF signal, from fundamental mixing of the input with the LO, for 0-18 GHz. Using 2nd and 3rd harmonics, and external mixers, the full range up to 40 GHz can be covered. 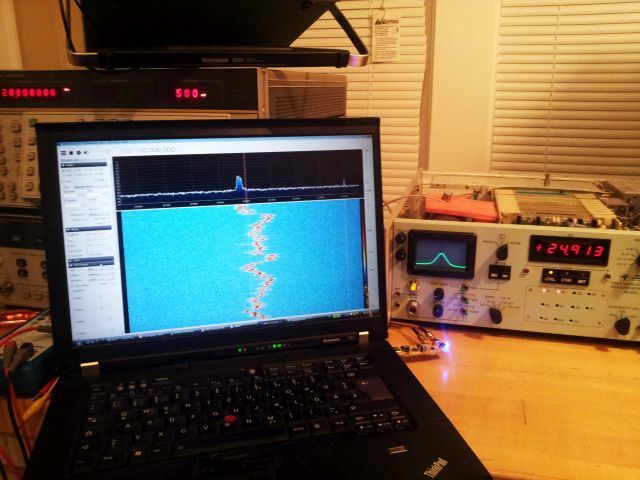 The 1295, despite its sensitivity, is actually not build for reception of real-world signal – it is an IF subsititution attentuation measurement receiver. However, this doesn’t mean it can’t be use to receive GHz signals… Recently I have been working on a 2-20 GHz digitally controlled preselector, and adding this to the 1295 will already help to get pretty much excellent selectivity. Now, a quick test: the IF test port, which is normally terminated in 50 Ohms, needs to be connected to the RTL USB SDR. To avoid overload of the RTL SDR by mirror signals, a little Micro-Circuit PBP-30+ filter was added, the silvery can, on the ESD foam, on top of the receiver. 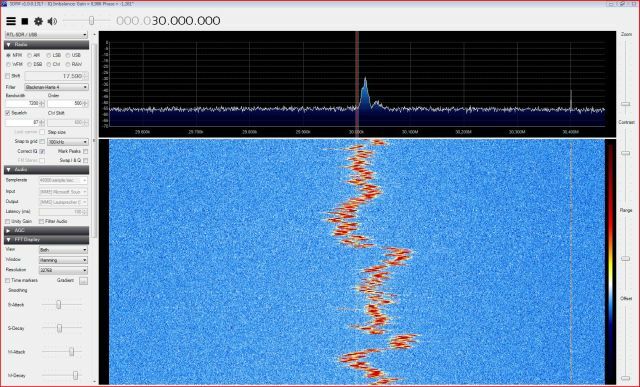 Divisions are 100 kHz, so there is a bit of drift. But keep in mind: 0.1 MHz for 10000 MHz, that’s just about 10 ppm! – and a PLL will be added to the 1295 anyway. After all, maybe a good idea to build a little 2-20 GHz downconverter, using a YIG pre-selector (currenty being developed anyway), a mixer and a LO (possibly using harmonic mixing). Stay tuned!